This is a real coaching session with a non-native English speaker who wants help to learn British English pronunciation and intonation. We focused on stress timing in English sentences, which can be difficult for a lot of non-native speakers, especially those from the Indian sub-continent, Africa, Spain, France and many others. She won this month's coaching contest, so she received this free one-to-one Skype coaching session, our Complete Pronunciation Roadmap training with 12 hours of audio and access to our private Facebook group where she'll get extra help and support from other and the community. Hey, I know it’s been a long time, but we never really went away, we just wanted some time to think about how to make what we offer even better and more useful for you. 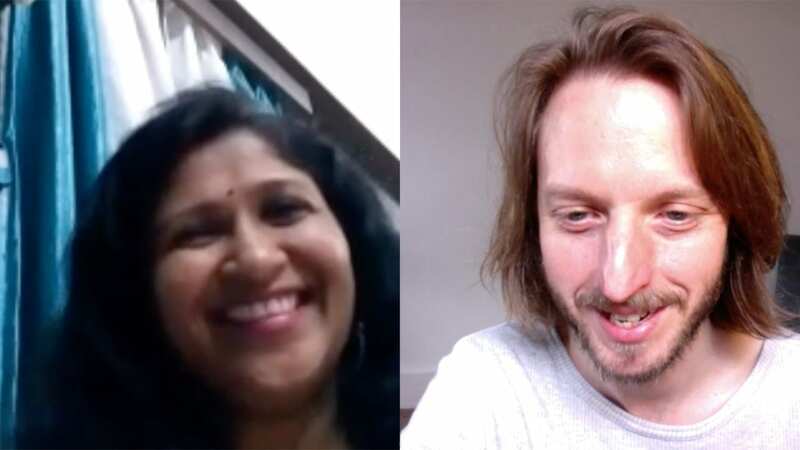 Every month, one of you lovely people get a chance to have a one-to-one video Skype call with me, Ashley or Paul co-founder of English Pronunciation Roadmap. It's a free accent reduction class just for you! The Skype call is completely FREE and focuses on your #1 QUESTION about British English pronunciation or intonation. So what’s holding you back when you speak? What do you find most frustrating, or what are you just really curious about? Wouldn’t it be great for us to guide you personally? Well one person every month will get the chance to do just that. Plus, that person gets a FREE copy of our complete Pronunciation Roadmap training which covers every aspect of British pronunciation and intonation and comes with 12hrs of audio and access to personal help in our Private Facebook group AND 1 month free trial of our live and interactive Pronunciation Masterclass. So why are we doing this? Well with YouTube and the internet, there’s so much knowledge and information out there, and it can be a bit overwhelming. We’ve released hundred of videos ourselves, and whilst these are very useful and valuable, we want to help people in a way that’s much more of a 2-way conversation. So here’s an opportunity for you to get real, one-to-one guidance & insight to help you move forwards and make progress with your pronunciation. And we’re offering one lucky subscriber an opportunity to win all this every single month. It couldn’t be simpler. You just click this link, submit your name, email and your #1 Question and we’ll announce the winner via email at the end of every month. And if you don’t win, you’ll roll over into the next month to be in with another chance. All we ask for, is that we can video record just a little bit of the coaching and share it here on youtube and our blog. Because what better way to help everyone learn than by seeing a real non-native speaker, just like yourself, overcome a frustrating problem in their speech. We’ll only record a few minutes, and the spotlight is on us and how we help you, not on you being coached. Then we’ll ‘stop the tape’, and the rest of the time will be just like a private session. So click the button above, submit your name, email and your #1 Question and we’ll announce the winner soon. When is S pronounced as Z? So when is S pronounced as Z? There are some really simple rules. How do you pronounce Yoke, Joke and York in British English? One of the exclusive Pronunciation Masterclass members asked this question in last weeks live session. This week's WOTW video is actually a 'preview clip' from that very lesson, where Ashley guides them through this question step by step. Over the next however many weeks, I'm going to walk you step by step through English spelling and pronunciation. Here's the next episode on how to pronounce ae. And if you missed it, last week I covered 'aw'. Watch it here. Over the next however many weeks, I'm going to walk you step by step through English spelling and pronunciation. Here's the second on how to pronounce aw. And if you missed it, last week I covered 'ai'. Watch it here. Over the next however many weeks, I'm going to walk you step by step through English spelling and pronunciation. Here's the second on how to pronounce ar.